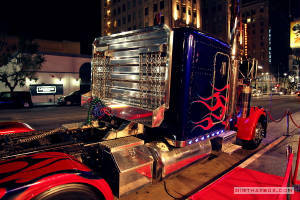 Optimus Prime returns to Hollywood. 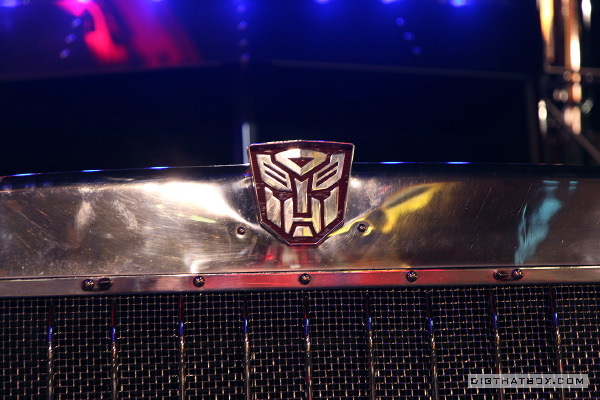 The fearless leader of the Autobots was spotted in front of the upscale residence known at The Redbury. This new development is home to Cleo, Hollywood's most popular new restaurant. 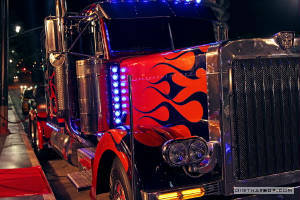 Optimus was on hand to celebrate the completion of the new Transformers video game. The video game is a tie-in with the new movie, which launches on July 1, 2011. The Autobot leader posed for pictures with fans, and was very gracious with his adoring public. 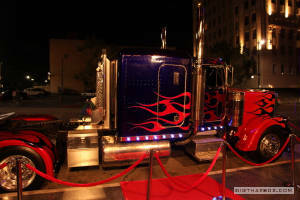 Certain lucky attendees even got the chance to sit behind the wheel of Optimus Prime. 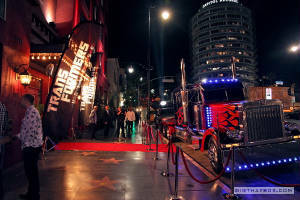 Of course this isn't the first time the Transformers have visited Hollywood. We did another story on their visit to the popular Arclight Theater. 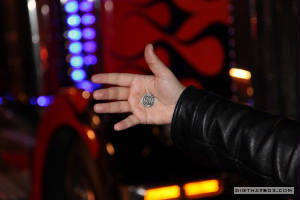 Click this link to see photos from that event. 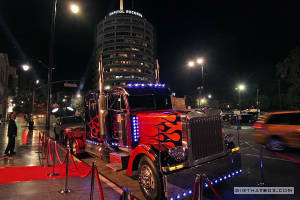 We suspect this isn't the last time the Transformers will visit Hollywood. Keep watching this site and we will keep you posted about any future appearances in the neighborhood.